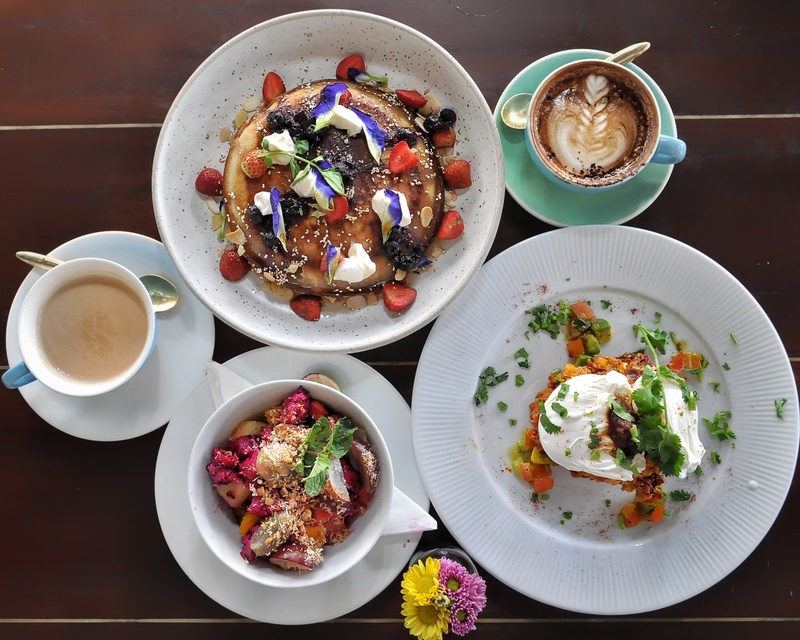 Let’s start the day with something sweet..
Found in the heart of Batubelig, Watercress Café has become one of Bali’s destination café for breakfast and brunch. 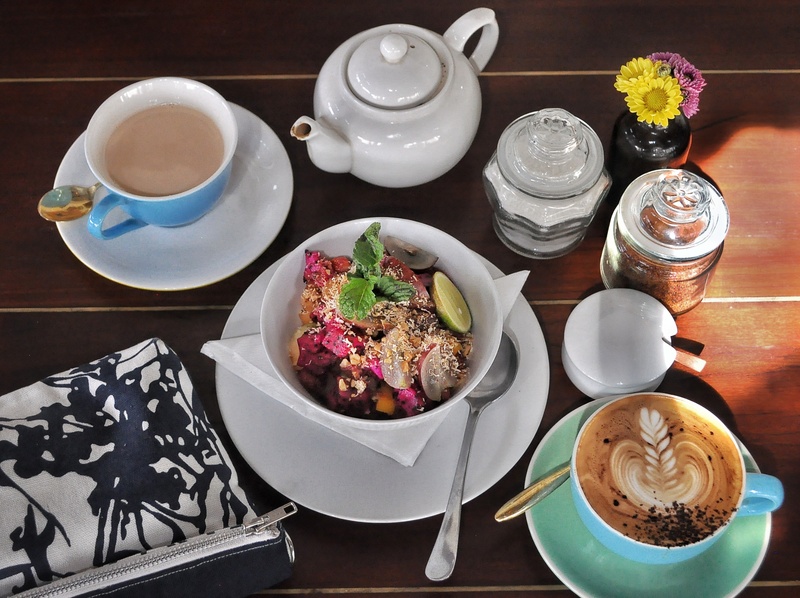 With white walls, gorgeous rustic décor and beautiful food presentation would surely become one of “Instagram photo-hunter’s” favorite spots. But as for me, this café never failed to surprise me with their creations and rustic food concept. I paired my hotcakes with a cup of beautifully spiced hot Milk Chai Tea (35K) that adds some comforting taste to on my breakfast. What is chai tea? Well, it was a spiced milk tea originally comes from India; it has hot creamy texture, bold black tea flavors with warm exotic and aromatic spices fragrance. Just love it!! But if you’re looking for something light and fresh, they have this fruit salad called Tropical Fruit Paradise (45K) that consists of seasonal fruits served with fresh mint, toasted coconut, crunchy nuts and zesty lime. 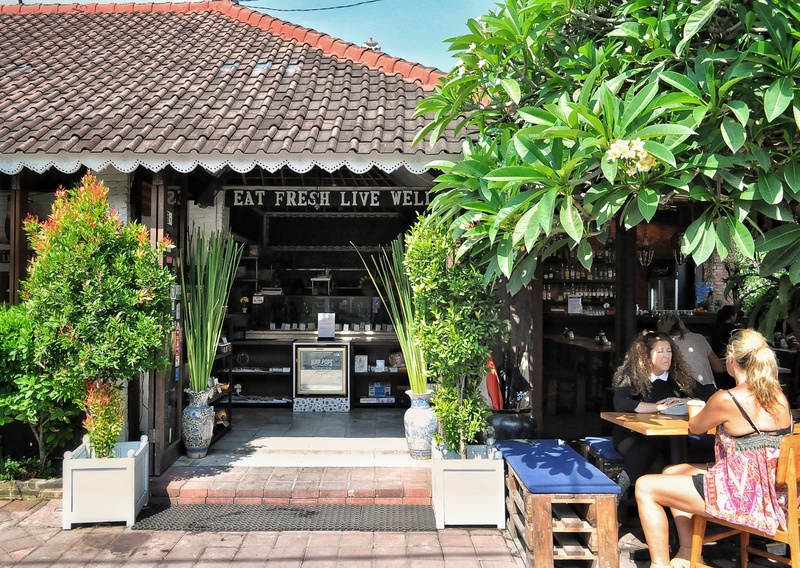 Oh for those who stayed in Ubud, do you know that Watercress also open in Ubud? 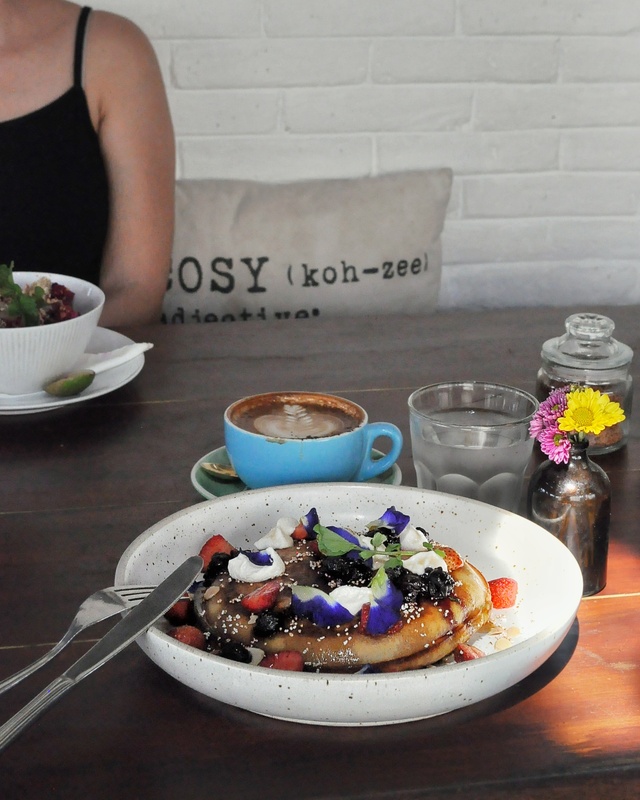 Well just stop by at their café in Jalan Monkey Forest to try those yummy yummy breakfast.